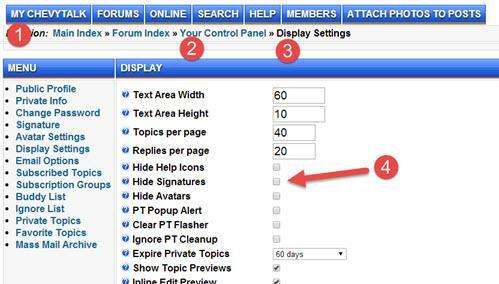 If you don't wish to view other member's signature files here is an easy way to disable them. Edited by Tony on 10-10-15 02:53 PM. Reason for edit: No reason given. Execution time: 0.105 seconds. Total Queries: 16 Zlib Compression is on.